Being chosen as a groomsman for a wedding event is an honour, and as such you need to give the best of yourself. Most of the time one is chosen by a friend or relative to be his groomsman on his big wedding day. What you need to know about being a groomsman entails more than just standing next to the groom during the wedding. Being a groomsman also comes with a few expenses, such as renting your attire, travel costs, and any costs incurred during the bachelor party. Hence you need to be well-prepared. Here are a few tips on how to be a good groomsman. Planning a wedding is hectic and stressful, especially for the groom, thus you have to offer your unconditional support to him. Lending a helping hand on his wedding day is one of the greatest ways to do this. For example, you can help with the gifts, ensure that the ceremony chairs and everything needed is in order, and help with making guests calls. Also, you can offer advice when he’s faced with challenging situations during the planning process. By helping him out with some of the activities, the groom will be grateful and proud to have you as his groomsman. In most cases, the bachelor party is held a few days before the wedding, and as a groomsman, you should help with the arrangements. Assist the groom in finding the best destination, making a guest list, financial contributions, transportation concerns, and anything else that might be required for a bachelor party. Keep in mind that the bachelor party should be fun and memorable. You want the groom to have the best experience possible. As a groomsman, you are expected to offer a good speech, which requires preparation. Besides, the last thing you want is to embarrass both you and the groom during the wedding ceremony. 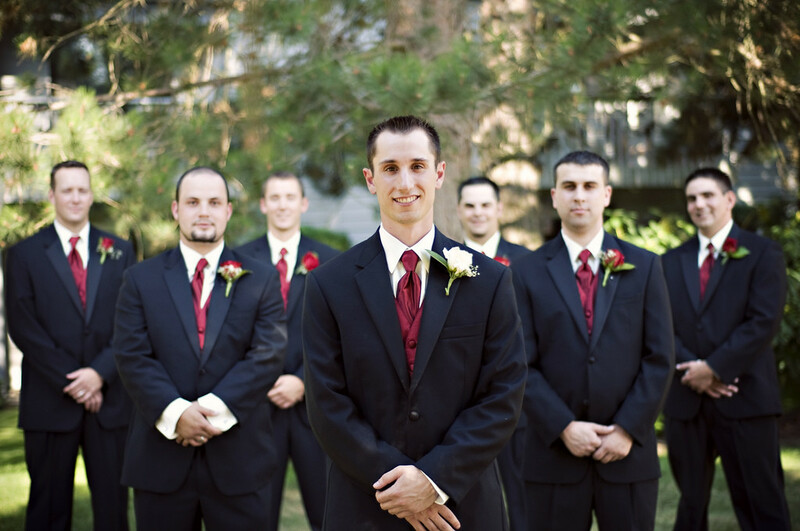 It's your responsibility to ensure that all the groomsmen have their speeches ready prior to the wedding event. Try to include a few jokes in your speech, as well as making it a bit sentimental. Choose your words carefully, of course, to avoid saying something inappropriate during the ceremony. During the wedding, you want to be sure that the groom is calm and happy. Try to make sure that everything runs smoothly during the ceremony and offer him all the moral support he needs. Ensure the groom is well-dressed and looking great for his big day. Also, it’s important that you help the groom to manage his time well so as not to be late for the ceremony. As a groomsman, it is your responsibility to walk a bridesmaid up the aisle and stand next to the groom at the altar. By doing things right you’ll be able to walk away from the event knowing that you gave your best and the groom is happy. To be a good groomsman you need to confirm everything is in order, and if there are any last minute requirements, it’s your job to take care of them. If you want to make a toast, do so towards the beginning of the reception. To avoid tensing up when toasting the bride and groom, prepare your words in advance of the wedding day, which will help build your confidence. When making the toast speak with confidence and loudly enough so everyone hears each word you say. At the same time, even with all your responsibilities, try to have fun and be sure to mingle with the guests at the reception. At some wedding receptions, the groomsmen end up getting drunk and start misbehaving. As a groomsman who wants to give the groom the very best, keep your alcohol consumption down to a minimum -- the wedding will still need your attention. When you are drunk, it becomes hard to make informed decisions, and you may also end up misbehaving. You have to enjoy yourself responsibly throughout the ceremony because you’re acting as the point person and your sobriety is important. The groom may expect a lot of gifts from his guests, and as a friend and groomsman you should surprise him with one. So go out of your way to get him something unique and beautiful that will last for a long time. A good gift will make the groom happy and strengthen the bond between the two of you. Everyone loves gifts, especially when it relates to their personality and things they love. A nice gift will serve as a reminder that you were a good groomsman and stood by his side during his memorable wedding day. Being a groomsman should be fun and exciting, and by following these tips you can be certain that you’ll be a great one at your friend or relatives wedding.